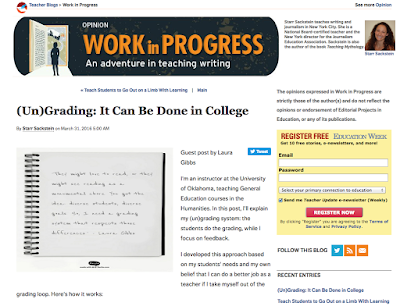 Anatomy of an Online Course: Spring 2016: The First Email - Connecting. Spring 2016: The First Email - Connecting. 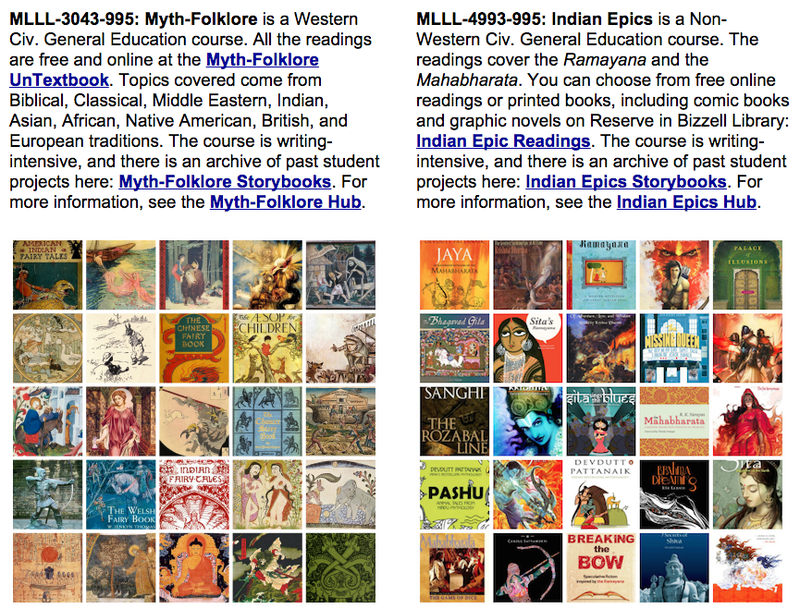 Both Myth-Folklore and Indian Epics filled last week, so I went ahead and sent out my introductory email, hoping to make sure everyone knows what the class is about. I was able to include links to the new blog randomizer I wrote just last weekend: I knew it would be useful for all kinds of things! Below is the text of the email. But first, a few remarks. This email is the first moment in my building a relationship with most of these students, so it's an important email. A few of the students have already been in touch because they needed an enrollment permission, and a few of the students are returning from a past semester, so we are already connected. For most of the students, though, I am just a name in Ozone, and so likewise they are just names to me. For teaching and learning to happen, we have to be more than names: we have to be people, and we have to be connected. 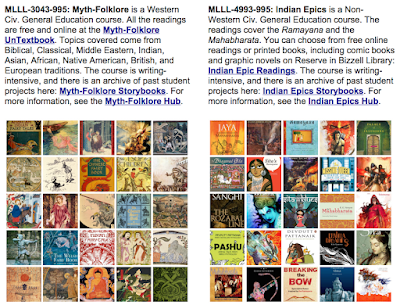 This email is a way to start that exciting process not just of learning about myth and epics, but of learning about each other. And a more general observation: Faculty need to communicate proactively with students. How can students make informed decisions about classes without knowing more about what classes really involve? It seems to me students would really benefit if all faculty would do this... and how hard is it? Not hard at all. You write the email, and you send it to the class roster in D2L. Since D2L synchs with our enrollment system, all the Spring semester students are right there, waiting for us to contact them. I think we should all be doing this, and I know from experience that the students appreciate it. Some students will probably drop when they learn what the class involves, and that's great: there is still plenty of time for them to find another class, and there is still plenty of time for me to admit students from the waiting list! I hope these materials will answer any questions you have about the class, but if not, just let me know. These classes are a lot of fun; I've been teaching them for over 10 years now, and every semester is a new adventure! At the same time, every semester there are a few students who end up not happy with the fully online class format. So, I wanted to share this information with you now so that you can decide how it looks to you and, as I said, if you have any questions, let me know!